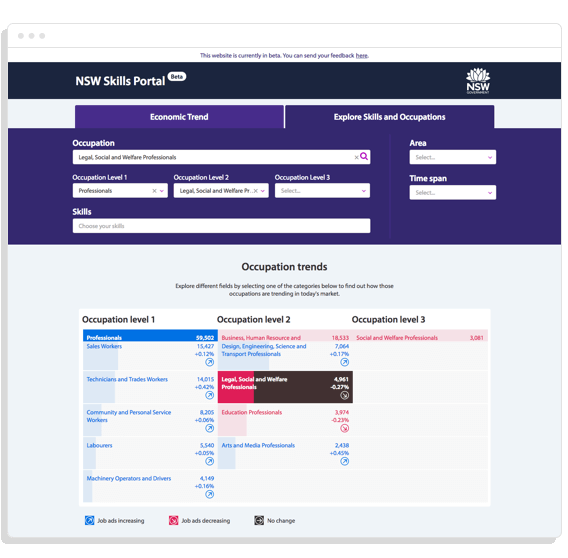 This tool gives oversight on general occupation trends, what skills are important and how popular different jobs are depending on what region they are in. 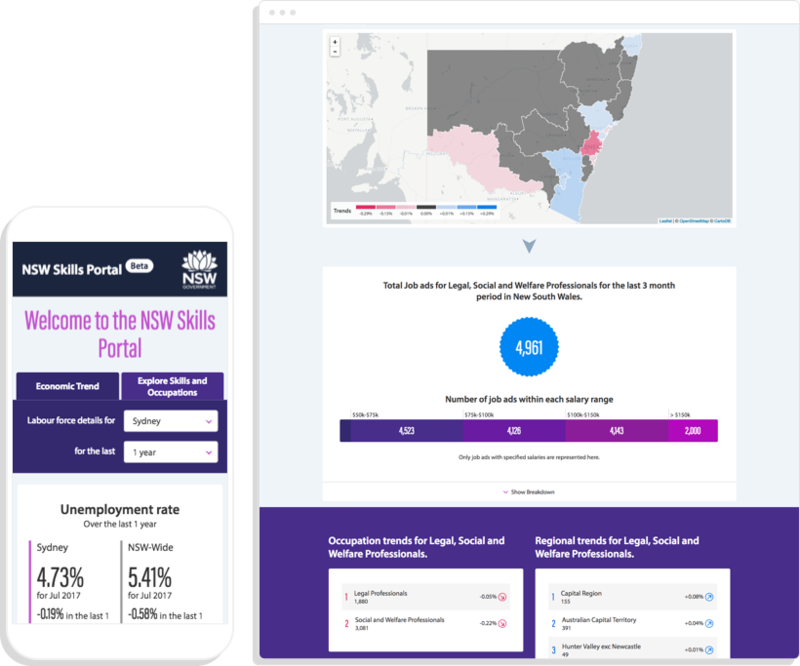 The Department of Industry (NSW Government) wanted to create an online, fully accessible portal for occupation and employment trends across the state. 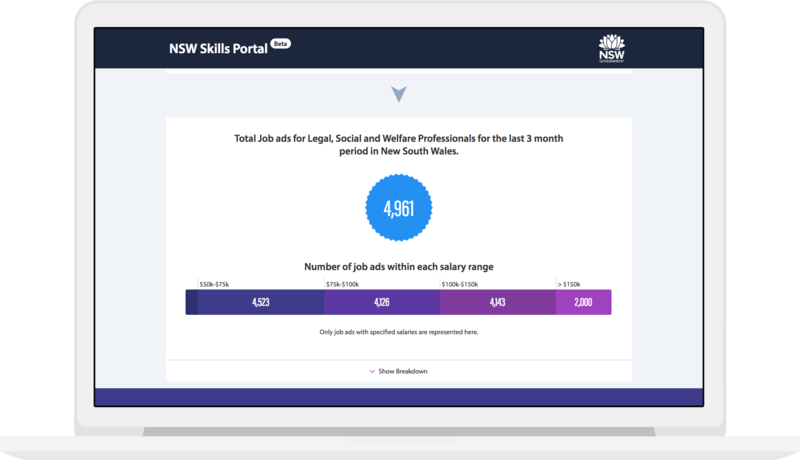 They had multiple sources of data to combine and analyse to show the changes in popularity of certain job types and skills required. 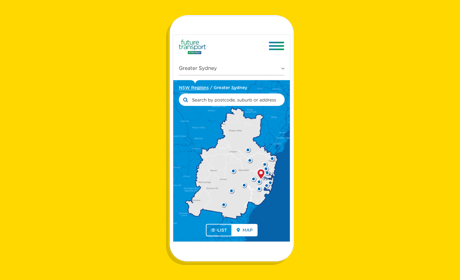 They wanted to display these trends across the different regions of NSW. 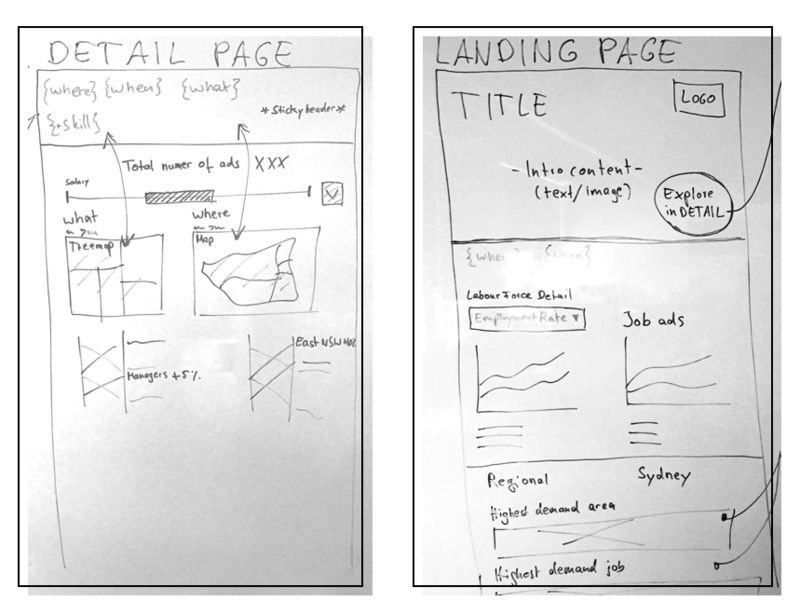 We went through a detailed data analysis period, before sketching concepts, creating wireframes, and then moved on to design and development; all the while in close collaboration with the client and the key organisations we needed to liaise with for the source data and accessibility review. During development the client had a number of change requirements and these were planned and delivered in parallel to the main sprints. We went through exhaustive WCAG accessibility adjustments and a UAT period before finalising the site for launch. The beta site, which launched in early 2017, is a sleek 2-page web app, with no backend or Content Management System. 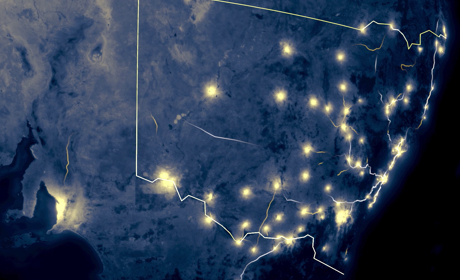 It calls data dynamically to keep the site fresh and updated, with minimal maintenance. Users can interact with all of the major components to personalise and find information relevant to them. 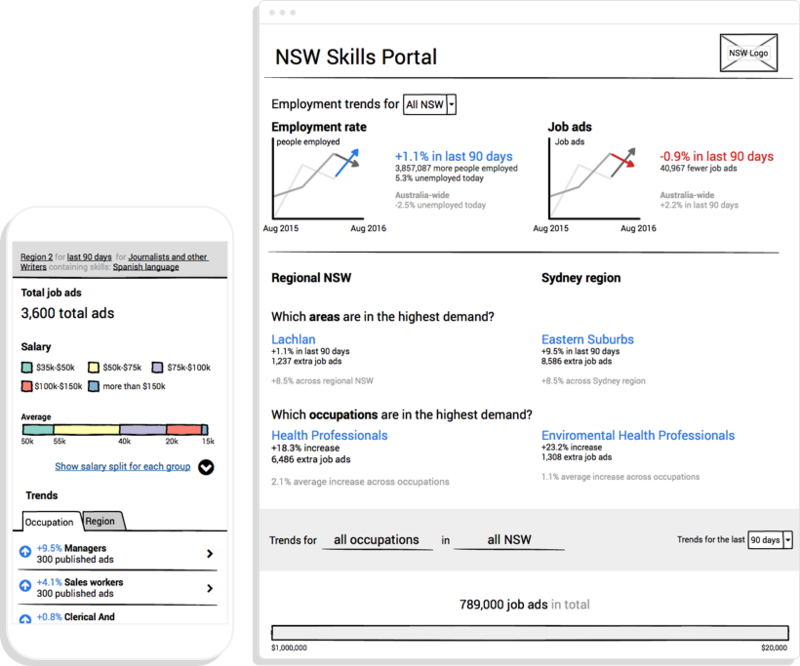 There are a number of different data visualisations at play here from general line charts and tables to donut graphs, nested lists and a dynamic map, all of which incorporate selections from the user, based on time and location, to deliver specific trends. The user can get even more detailed by searching keywords for job titles and skills to define occupation results.